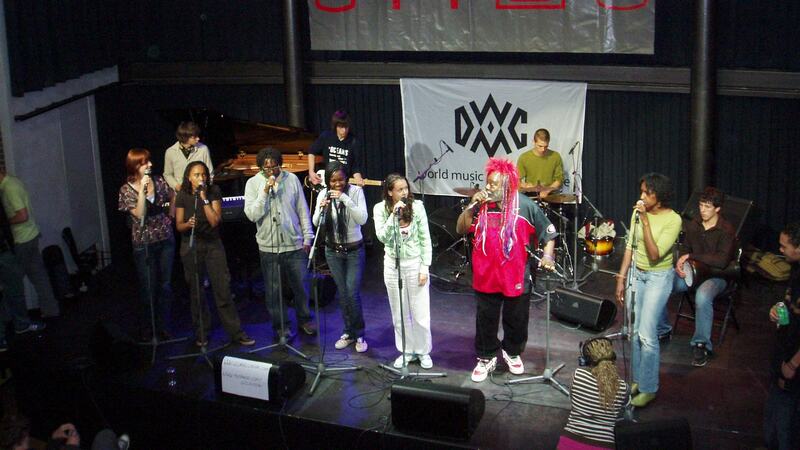 On the 18th of November 2011, ROOTS & ROUTES celebrated their ten year anniversary during Buma Beats festival Rotterdam. ROOTS & ROUTES was founded 2001 in the Netherlands, when Rotterdam was the European Capital of Culture. During the evening, three ROOTS & ROUTES talents showed off their skills which they obtained and expanded at previous ROOTS &ROUTES projects. The first talent, Fay van den Bos, showed her VJ skills during a short presentation. In this presentation she visualized the most important highlights during the past ten years. A group of dancers, who just like Fay developed their talent during Summerscool 2011, gave an astonishing performance designed by choreographer Sheyda Dharab. Memories were brought back and the love for the ROOTS & ROUTES family was represented and showed by enthusiastic shout outs. ROOTS & ROUTES talent Ron-le-Bass closed the celebration with a soulful performance that got the crowd bouncing. Afterwards the guests did not leave the party empty handed: ROOTS & ROUTES designed a book for their ten years celebration, which every guest gratefully received.